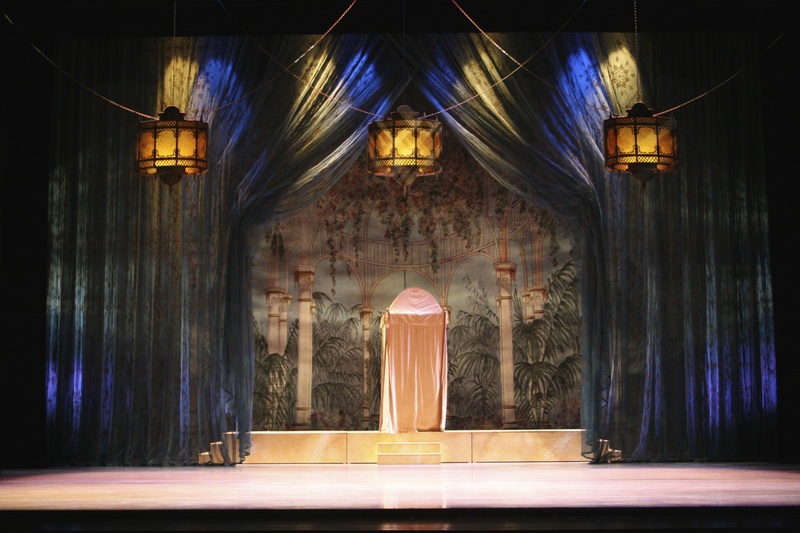 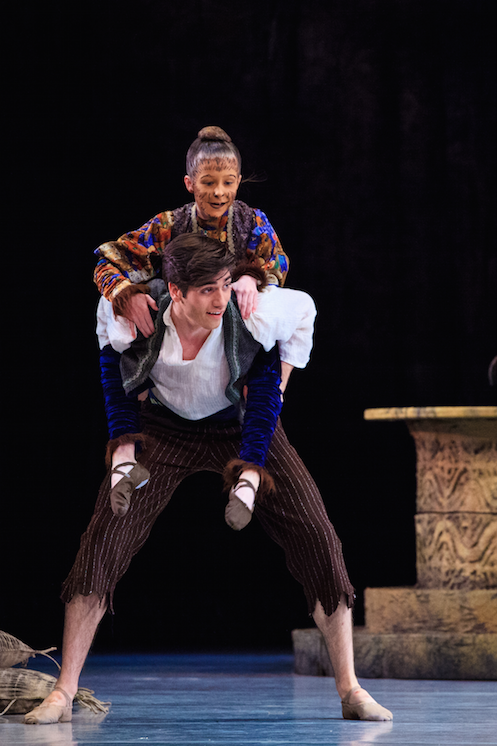 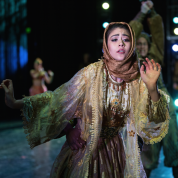 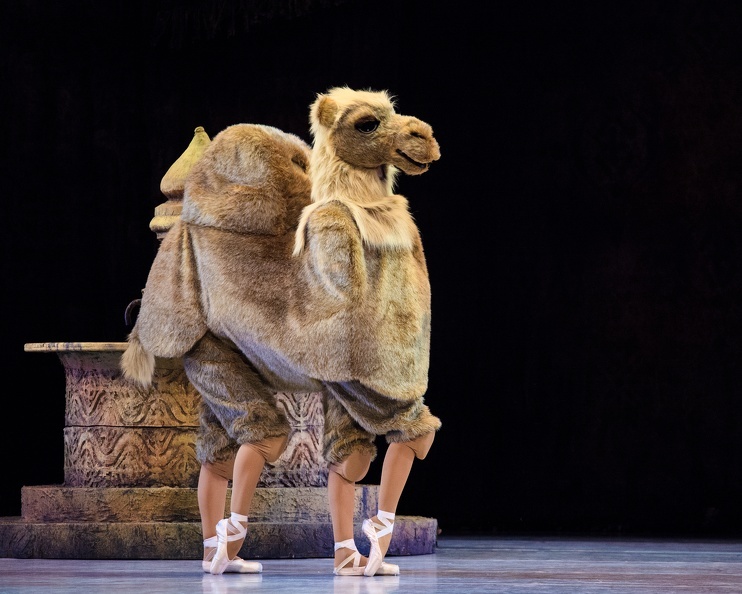 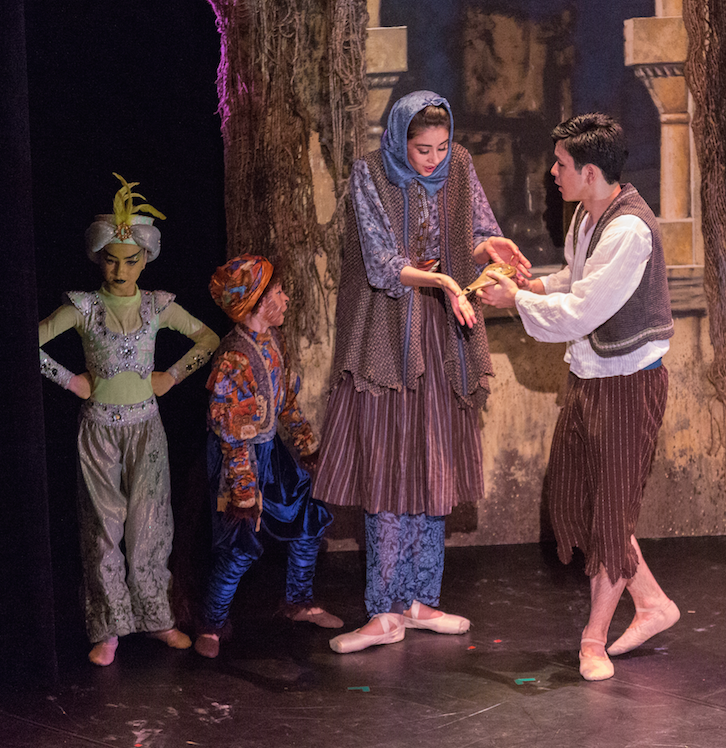 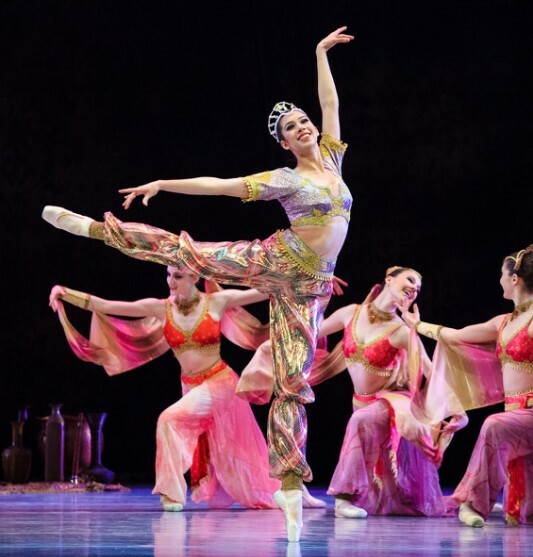 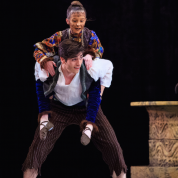 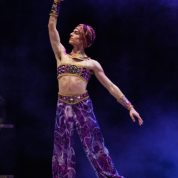 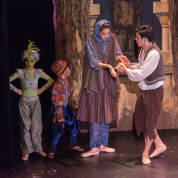 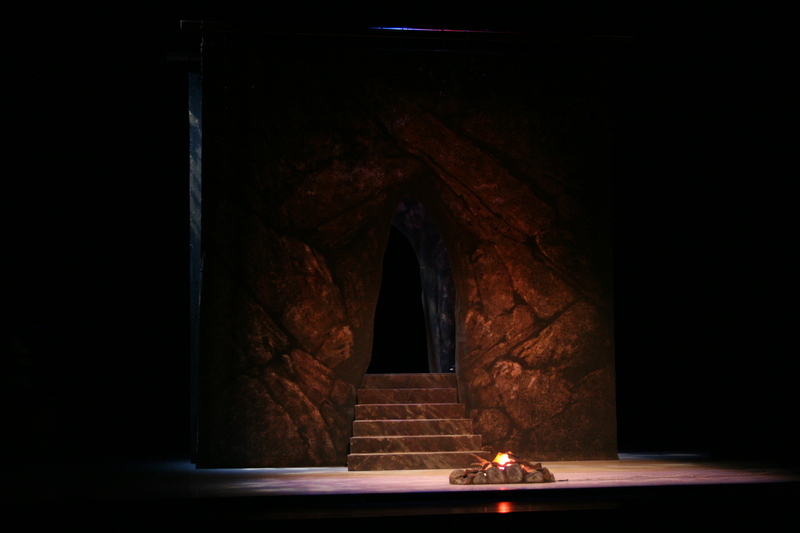 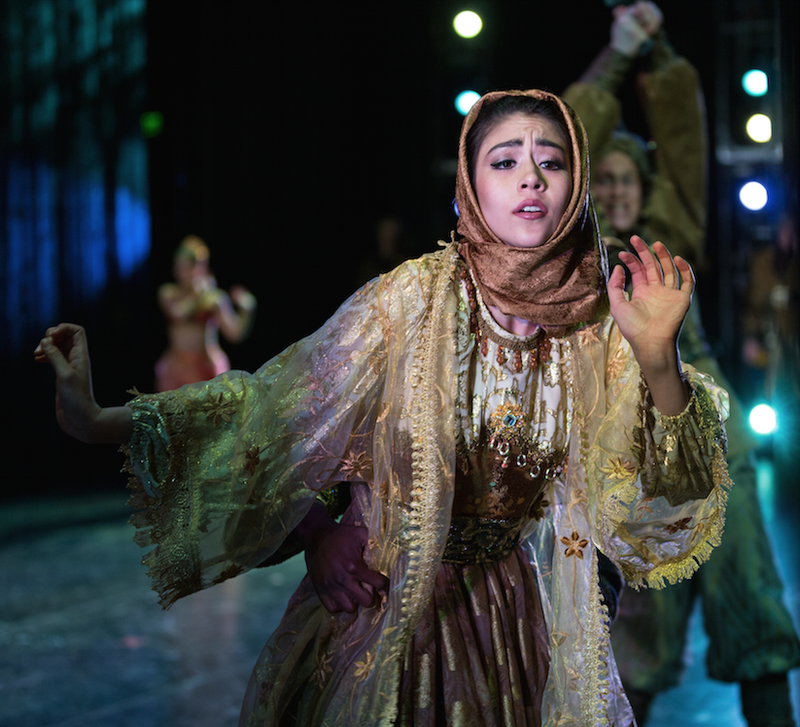 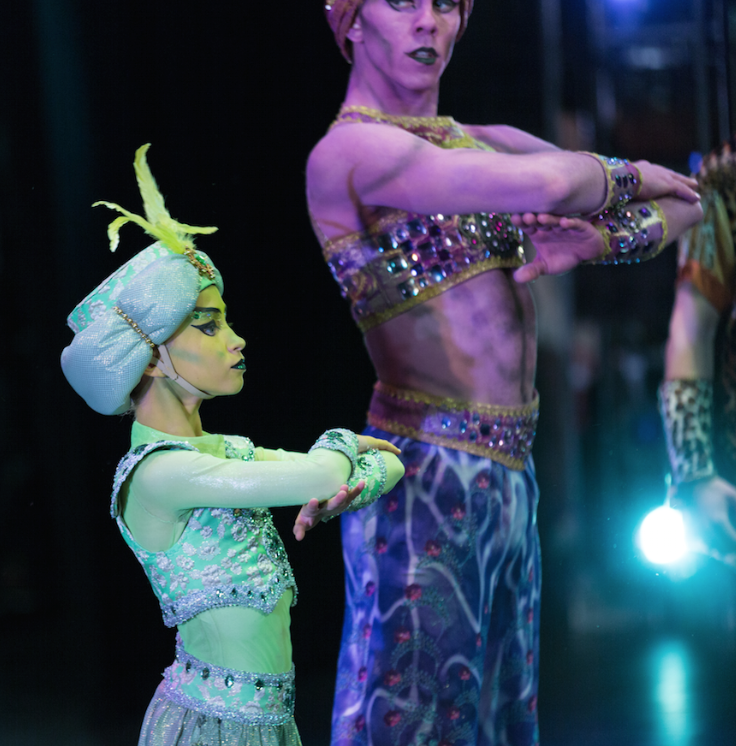 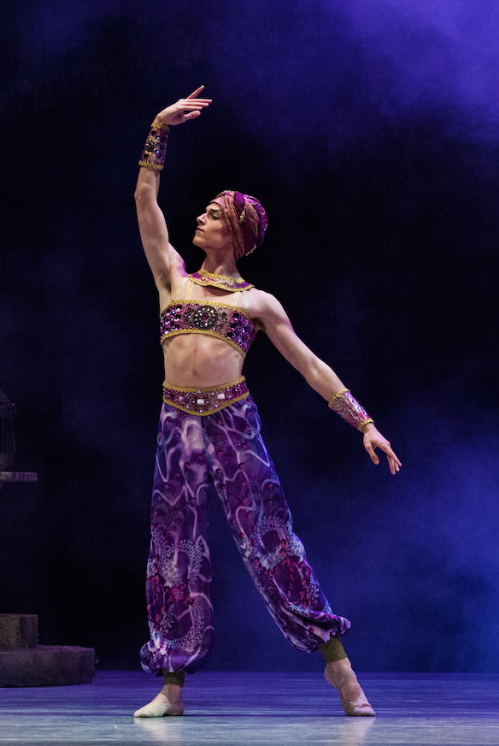 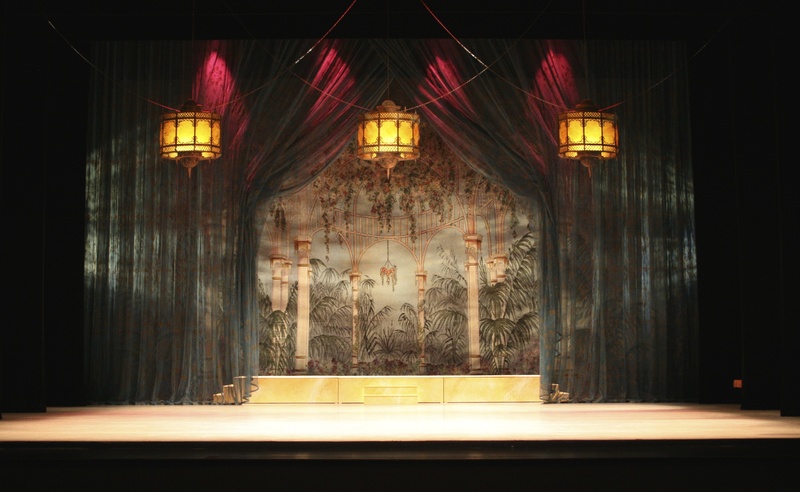 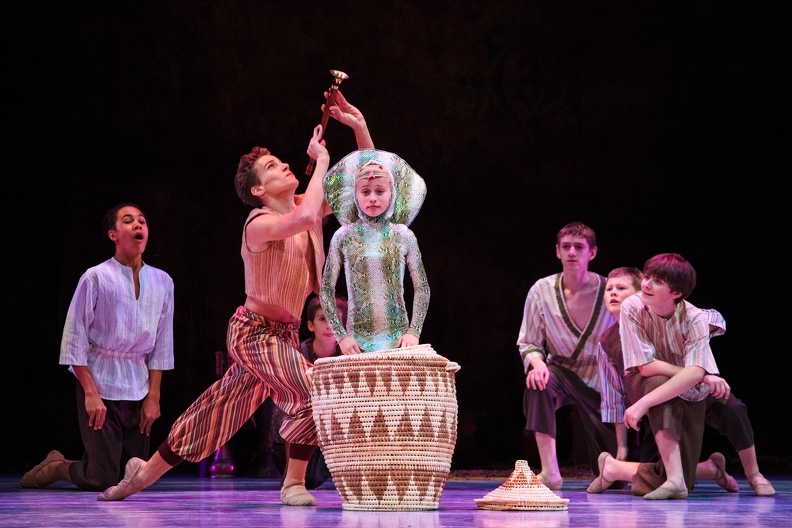 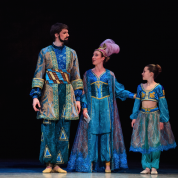 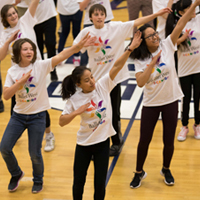 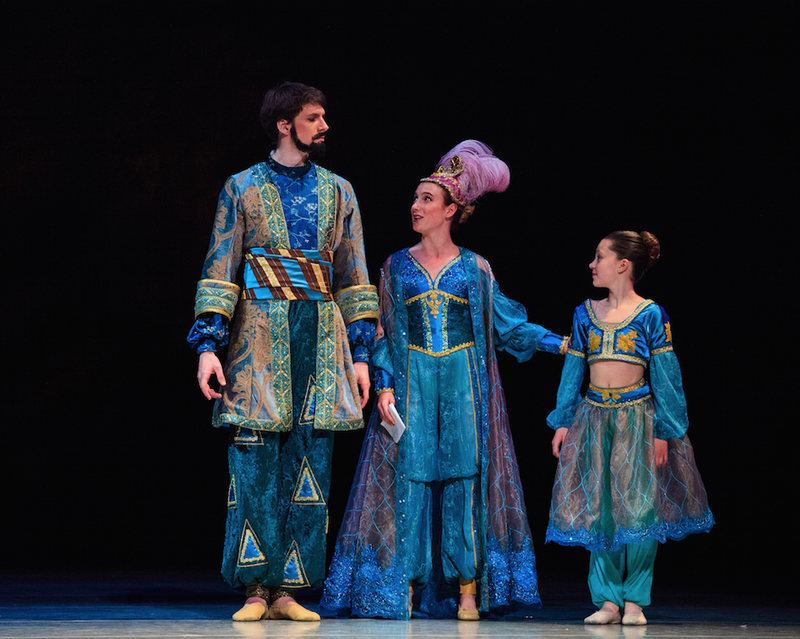 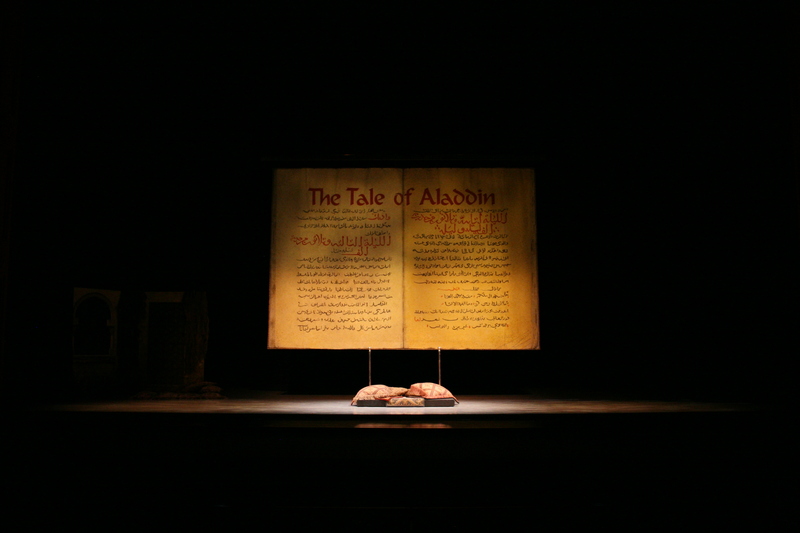 This production was created as part of Ballet West’s Family Series. 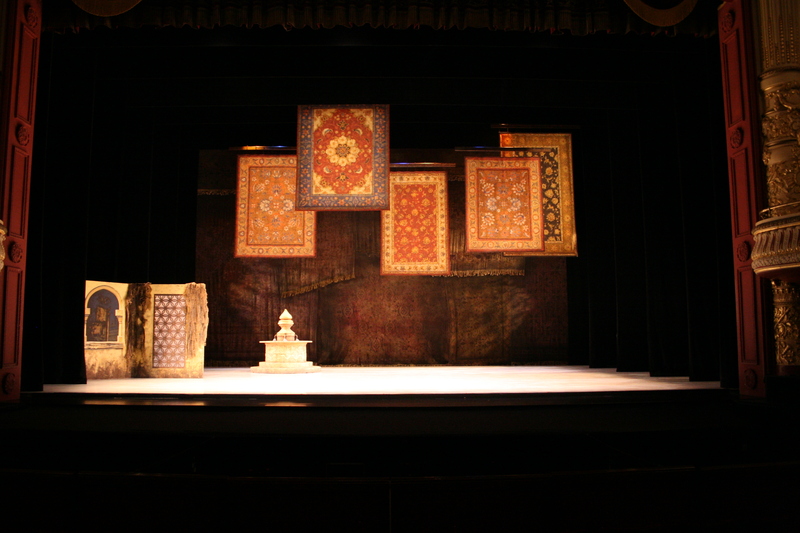 It is well-suited to both small and large theaters. 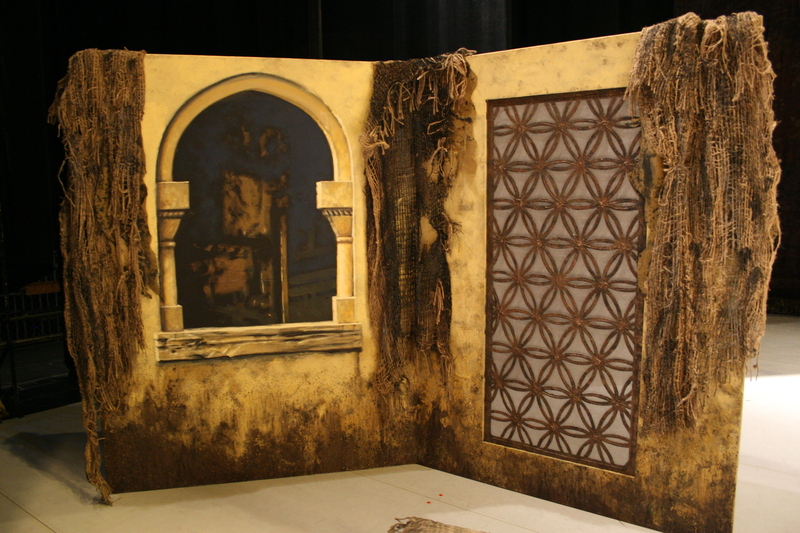 Scenery: Full props list available. 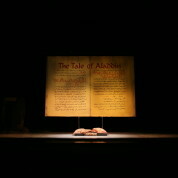 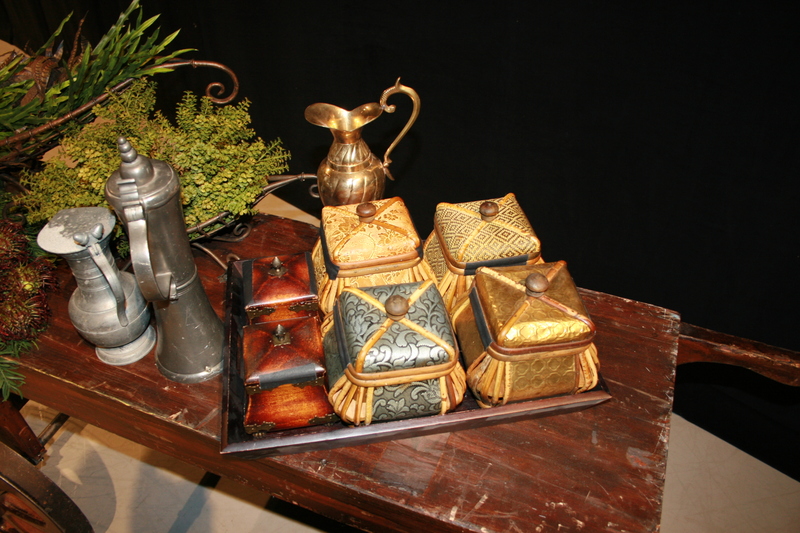 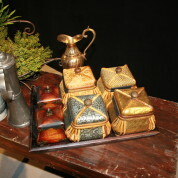 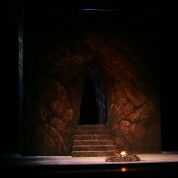 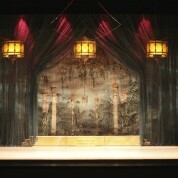 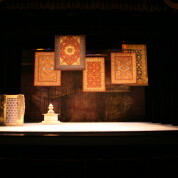 Props include: remote-control flying carpets; bedding; spinning wheel; market food; market goods(rugs, vases, pots); fountain; table and chairs; tea service and dishes; fire pit; musical instruments; baskets; swords; gold and jewels; rocks; lamp; booked flat house (pictured); hanging lanterns; etc. 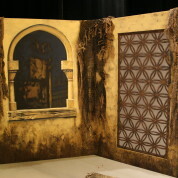 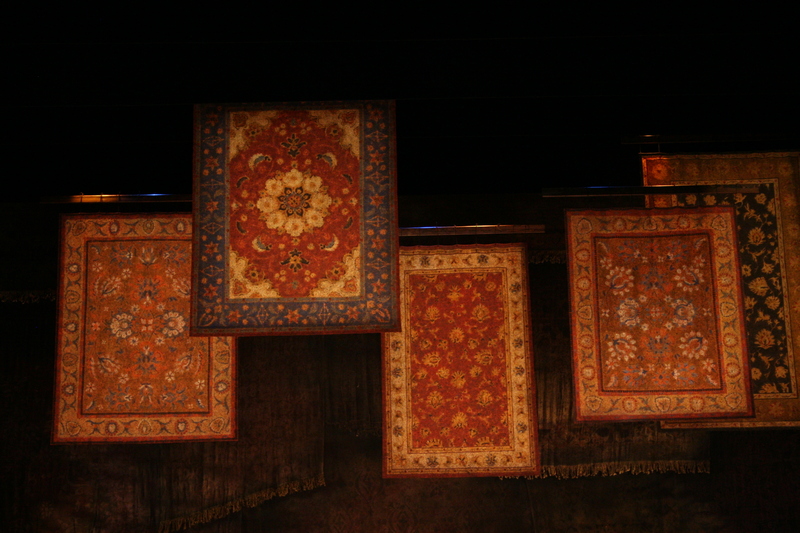 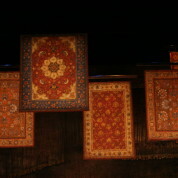 Drops include: storybook drop; rug drops (5); cave interior; cave exterior; palace tableau; etc. 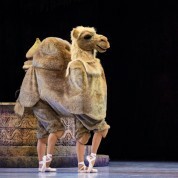 Costumes: Full costume list available. 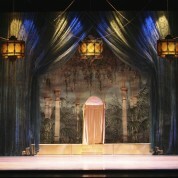 Costumes include: Aladdin street clothes; Aladdin wedding clothes; Princess Kalila street clothes, Princess Kalila wedding clothes and tiara; genie with turban; little (child) genie; market people and vendors; female narrator clothes and headpiece; male narrator clothes and turban; monkey; tiger; odalisques (pictured); tigers eye tutu; black opal tutu; enchanted trees; two-person camel costume; etc.